Will Primos grew up hunting, and inherited generations’ worth of family experience one trip at a time. That passion for hunting inspired Will to start making animal calls as a hobby. Two years after that, in 1976, Will sold his first call. “I realized that I may have something here,” Will said with a laugh. Now Primos Hunting is known throughout the U.S. for all of its various calls – deer, turkey, elk, waterfowl, specialty and predator. It also makes ground blinds, decoys and various other accessories. More than that, Will has spread his family’s knowledge to thousands of hunters via Primos Mastering The Art video series, and Primos TRUTH About Hunting on Outdoor Channel. “The effort was to show somebody what we learned so they could apply it and see what works for them,” Will said. 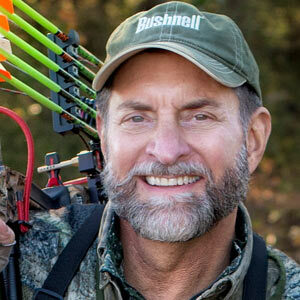 “When turkey hunting in infancy as nationwide hunting pastime in the 1970’s, if you didn’t have an uncle or daddy to teach you, no one knew how to do it, or what to do. The most treasured hunting tips are the ones that are handed down, perhaps with a nugget of wisdom. Good hunters don’t have to be born now. They can be made, provided they want to learn. Will is happy that Primos Hunting is a source of good information. “We were elk hunting, and our guide, he’s looking through a spotting scope watching elk come off a plateau and through a meadow. As soon as they started to go in the timber, he said he knew where they were going. “We trotted and walked fast for one and a half hours. I had no idea how he knew where those elk would end up. There was a ridge coming out of the timber, and we beat them by about two minutes. Every one of them walked by at 20 yards, including a big bull.